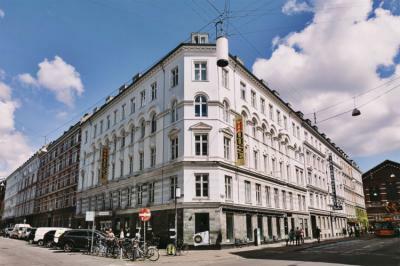 Copenhagen – Hostels in Copenhagen. Maps of Copenhagen, Photos and Reviews for each hostel in Copenhagen. 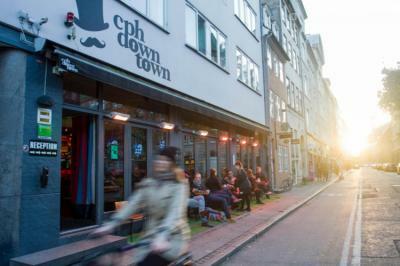 Looking for a hostel in Copenhagen? Look no further, all the good deals in Copenhagen are on Dorms.com. Like thousands of other people every month, book your hostel securely at the best price in all neighbourhoods of Copenhagen. 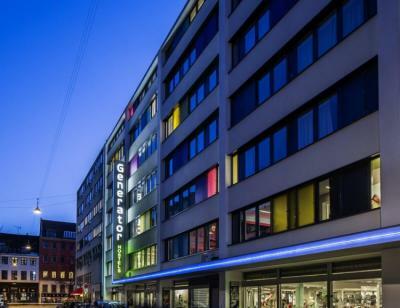 On this site, you can easily find a hostel downtown, in a trendy neighbourhood; a hostel in the student- university district, close to bus or train stations, airports or major attractions of Copenhagen. Whether you’re looking for elegant Danish design, minimalist Nordic fashion or the ingeniously innovative Scandinavian foodie scene, you’ll find it all in Copenhagen. Inside Generator Copenhagen, Tim Bjorn illustrations, intricate lighting, the shuffleboard, large outdoor terrace and pétanque court make it an oasis in the heart of the city. Our hostel is located in the meatpacking district of Vesterbro which is perfect in terms of public transport as this area is right next to the Central Station of Copenhagen. Vesterbro is known for being hip, cool and edgy and this is reflected in the great variety of colourful cafes, restaurants and shops throughout it. We have great corporate relationships with a number of these shops and restaurants (indicated in more detail on our website), so do check them out and we can hook you up! Very complete and clean it just misses a microwave. Very welcoming hostel, with a festive and relaxed atmosphere. There is the possibility to request dormitories for women which can be reassuring for women traveling alone. The rooms are ok, good after you have to be equipped not to be disturbed by the returns or late arrivals of other travelers. Then there are discounts on drinks and food from the hostel, which can be a good plan for not eating too much. All good in this hostel. Good wifi, nice dorms and good location. The lounge is fun and the dorms very clean and spacious. Very good price too. Very warm hostel, full of charm. The bedrooms are very clean. Code doors are very safe. The kitchen and an asset. We loved this hostel which offers all the comfort possible. A very good room for 4, with practical and clean bathroom. What we particularly enjoyed are the common rooms, such as the bar / restaurant which offers a great breakfast every day. We would return there without hesitation. Staff very attentive, very friendly. Great locals, right next to the city center. Very clean and quality room. To advice !! Nice clean hostel. If you arrive before 3am, you must leave your luggage in the pay boxes that can become expensive. Our location is outstanding for local hotspots, whether it’s bustling nightlife, the longest pedestrianized shopping street in the world (Strøget), fusion restaurants, the famous Tivoli gardens and the harbour beach. If you'de like some more culture, we are just next to Denmark’s best museums, galleries and theaters. The common area was very nice, free dinner was a bonus if you got there early, and the location was superb. very enjoyable stay, they even have universal charging extension which is great!